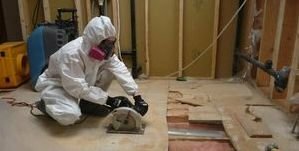 Our water damage Southlake team with 911 Restoration Fort Worth has been around since Southlake’s population expansion in the 1980s-early 2000s. We know what it takes to protect your home from destructive water damage. For years we’ve responded immediately when our clients are experiencing a water damage emergency. While living in an area prone to floods definitely contributes to the risk of water damage, our water damage Southlake team knows water damage can happen to anyone, regardless of where they live. Storms and heavy rain can cause roof water to leak into your home if your gutters and downspouts are clogged with debris. If a plumbing line or water line breaks, you could have massive amounts of water dumping in your home. Your carpets, furniture and other belongings could be destroyed. A toilet overflow or fire sprinkler malfunction could also wreak havoc on your home and cause major water damage. If your sewer backs up, water and human waste can pour all over your house. That is not the kind of problem that is fun to come home to. If you’re experiencing something like this, call our water damage Southlake team right away so we can respond within 45 minutes to your water damage emergency today! 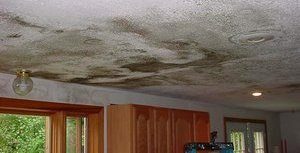 Water damage is preventable when you follow these tips provided by our water damage Southlake specialists with 911 Restoration Fort Worth because they have seen and solved it all. Make sure that your gutters are attached to your house securely. Clean them out regularly and also make sure your downspouts are clear. Make sure water is directed away from your foundation once it runs through the drainage system. Install a sewer back flow valve to keep your home safe from a raw sewage overflow. These are attached to all of your outgoing sewer pipes and prevent any water from reentering your home. Make sure you check all of your plumbing lines and appliances regularly. Appliances can have ruptured hoses that also cause major water damage. Installing a sump pump in your basement can be the key to preventing basement flooding. These machines work to remove high groundwater levels and keep your lower level dry. However, if you have had a basement flood, call our water damage Southlake experts right away so we can perform a high-tech water removal with the latest drying technology. We are licensed, insured, and bonded and our water damage Southlake technicians are ready to deal with any and every water damage emergency. Our restoration services come at an affordable price, and we respond to your call with same day service. We always put the customer first, and working with all insurance companies, we deliver a fast solution to your water damage problem. Every second wasted is another opportunity for mold to grow, leading to rot and other destructive issues. Trust your water damage restoration solutions to our Southlake team and rest easy that we will treat your home for water damage quickly and efficiently. Call our water damage Southlake team with 911 Restoration Fort Worth for immediate relief from all the forms of water invasion that may be intruding on your home today!